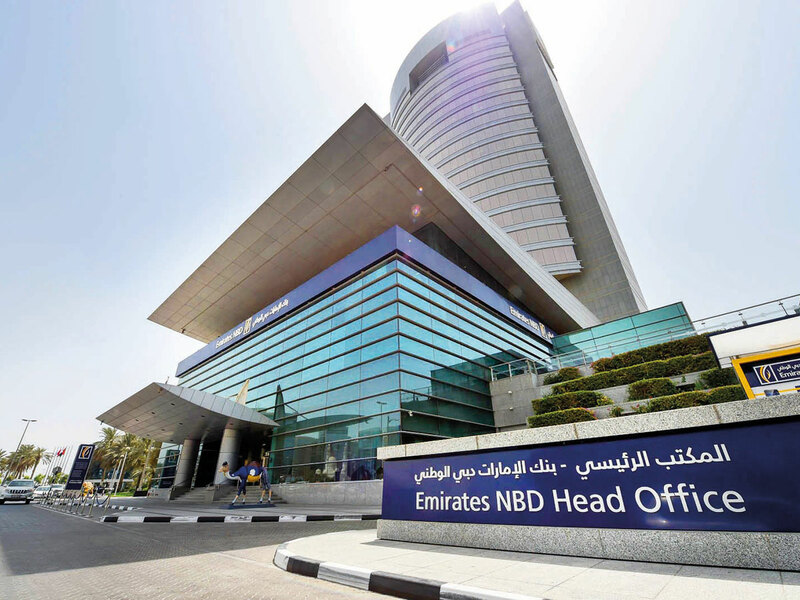 Dubai: Emirates NBD, Dubai’s top bank by assets on Wednesday reported a net profit of Dh2.7 billion up 15 per cent year on year and quarter on quarter. Total income for the quarter ended 31 March 2019 amounted to Dh4.71 billion; an increase of 5 per cent compared with Dh4.49 billion in the preceding quarter. The bank’s solid operating performance was supported by an increase in total income, driven by loan growth and stable margins. Core fee income increased 15 per cent year on year on the back of higher income from forex and derivatives. Net-interest income improved 1 per cent over the previous quarter as 3 per cent loan growth more than offset a small decline in net interest margins. Both loans and deposits increased by 3 per cent during the quarter. The advances to deposits ratio remains within management’s target range at 94 per cent. In Q1-19, the bank raised Dh4.7 billion of term debt issued in 4 currencies with maturities out to 20 years, covering 67 per cent of 2019 total maturities. Core fee income increased 9 per cent over the preceding quarter and 15 per cent year-on-year on the back of higher foreign exchange and derivative income. Costs for the quarter ended 31 March 2019 amounted to Dh1.39 billion, an improvement of 7 per cent over the preceding quarter due to an improvement in staff costs, lower professional fees and marketing expenses. Costs increased 9 per cent year on year in Q1-19 due to investment in our digital transformation and technology refresh. The cost to income ratio at 29.6 per cent remains within 2019 guidance of 33 per cent and gives us headroom to invest selectively to support future growth. “The operating performance for the first quarter of 2019 was pleasing as we delivered growth in both net interest income and fee income. Costs improved by 7 per cent from the previous quarter due to a reduction in staff costs, lower professional fees and marketing expenses,” said Surya Subramanian, Group Chief Financial Officer of Emirates NBD. The bank’s net interest margins (NIMs) declined by 2 basis points during the quarter as the effect of higher wholesale funding and fixed deposit costs were largely offset by an improvement in loan yields and higher CASA balances. During the quarter, the impaired loan ratio remained unchanged at 5.9 per cent. The impairment charge in Q1-19 of Dh570 million is 30 per cent higher than in Q1-18 and an 11per cent improvement on the preceding quarter. As at 31 March 2019, the bank’s common equity Tier 1 ratio was 16.8 per cent, Tier 1 ratio was 20.9 per cent and total capital ratio was 22 per cent, as calculated under Basel III.